Like many people, I thought about going to Alaska for a long time, my interest perhaps in part spurred by my hobby of raising Alaskan Malamute sled dogs. Then in 1987 I started flying, a preoccupation I cheerfully call "middle age madness". At the time of the Alaskan odyssey (1990), I had over 400 hours and an instrument rating. During my instrument training I had acquired a 1981 Piper Warrior II. But I felt a larger plane was needed for the Alaskan trip. So with the help of my father, I acquired a 1979 Piper Cherokee Six. My flying friends referred to them as "the little Indian" and "the big Indian". 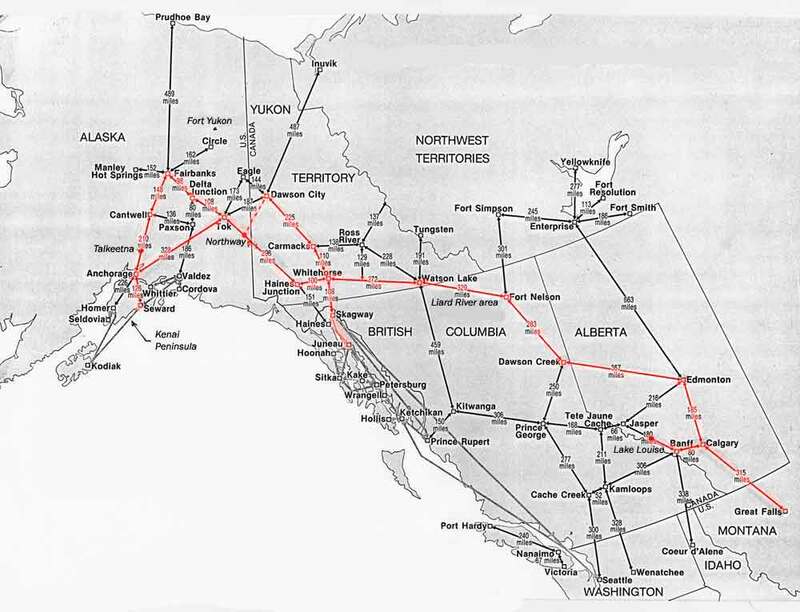 I first thought about flying the Alaska Highway in the summer of 1989. My father, Lloyd Freeman, was retired from the USAF and expressed strong interest in making the trip with me. He was stationed in Alaska for three years, flying search and rescue, and was anxious to share the experience of flying Alaska with me. Slowly throughout the winter of '89-90 the trip coalesced from a nebulous assortment of ideas into the reality of hard, nuts-and-bolts planning. The last six months grew increasingly hectic, trying to anticipate everything that would be needed. There was not a horizontal surface in my house that was not covered with a chart or literature of some sort! It became apparent that the distance would be far too long for me to do all the flying myself. I would definitely need a co-pilot (my father was no longer actively flying). A former flight instructor recommended a young man by the name of Tom Smith. At the time of the trip, Tom was a senior at Mankato State University, majoring in aviation, and was a CFI student. He proved to be an excellent choice for the trip. The fourth passenger was my sister, Cindy Freeman. 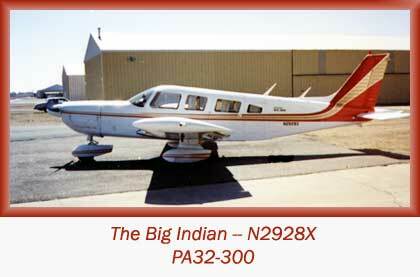 The plane used was my Cherokee Six (PA32-300), N2928X. The trip lasted three weeks and covered a distance of more than 7,300 miles. Actual flying time turned out to be 64.4 hours. The "big Indian" proved to be a wonderful choice for the trip, easily handling every condition we encountered. The Journal is organized on a chronological day-by-day basis. Although it was originally conceived and written from a pilot's perspective, there is much in it to interest readers that are not aviation-oriented. To aid such readers, a glossary of aviation terms is provided, and throughout the text, aviation terms are linked directly into the glossary. There is also a page that will link the reader directly to any specific day or location.